Dr. Madhavi Kandula is the sole injector in her office and her client volume speaks highly of her ability to perform these procedures. She has a passion for maintaining a natural appearance with each of her clients and doing this has delivered her praise after praise. Dr. Kandula’s work is reknowned throughout the region and has made her a household name in the St. Louis Metro Area. Below you will find recent testimonials from clients of Dr. Kandula. Initials are given to protect the privacy of our clients. I have been a patient of Dr. Kandula for one year, previously seeing a plastic surgeon every four months for many years receiving Botox and dermal fillers but no direction on proper skin care, products or procedures for my aging skin. Dr. Kandula took the time to go through each of the products I was using (I took them with me) and advised me which to eliminate, what to incorporate and recommended a simple regimen which I have followed since that time and my skin looks amazing! I am particularly impressed with her injection skills and knowledge and use of all fillers which is what initially brought me to her office. Because of her expertise and technique I no longer routinely need filler every few months and have the proper replacement and balance of lost volume in my face which has turned back the clock in ways I could not have imagined and has been a visual advertisement of her work. Her office is impressive and professionally run and I expect to be a patient of hers for years to come. I started seeing Dr. Kandula about 6 or 7 years ago, when I was in my early 50’s. My husband had recently died from cancer and I was going through a very difficult time. Dr. Kandula was very supportive. She also made recommendations and suggestions to help me feel better about myself. I am very glad that I took her advice. I can truthfully say that thanks to her I look better now than I did then. 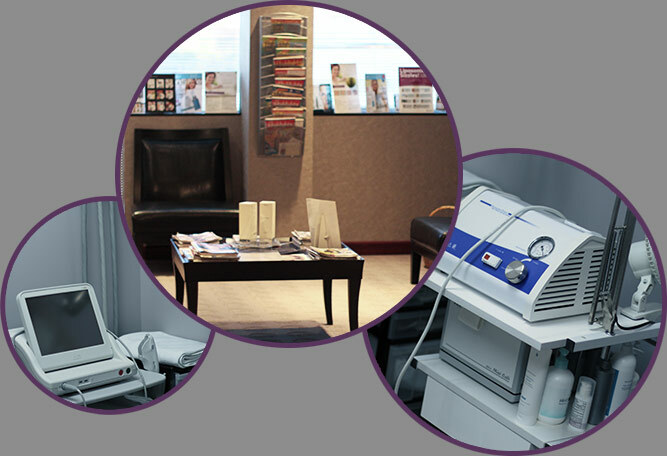 Dr. Kandula offers the latest cosmetic procedures and products available. She is incredibly knowledgable and also very honest about what she thinks will help me improve my appearance. She is never pushy and will never do a procedure unless she sees the need and can predict the benefit. I have had juvederm and Botox injections. Dr. Kandula is excellent at what she does. The result is never obvious, but always natural. I feel refreshed but never fake. I have also benefited from Ultherapy. It has tightened the skin on my neck and maintained my jawline. Dr. Kandula’s staff are always warm and welcoming. They are helpful over the phone and in person. I have been a patient of Dr. Kandula for 10+ years. She is a top notch physician and caring person who is very passionate about what she does and her patients. She carries great skin care lines; Skinmedica, skinceuticals and her own. She chooses the products based on their performance and also uses them. From skin issues to skincare and anti-aging options there is not another dermatologist in the region that can compare. When people meet me, they are always surprised to learn how old I am because I look years younger then my age. In fact, often when out with my 30 something daughters, people think we are sisters rather then mother/daughters. I owe this very flattering occurrence and my youthful looks to Dr Kandula. Since becoming her patient many years ago, I have followed her advise to the letter, thus achieving amazing results. Besides making sure I have very few wrinkles, she has found pre-cancer spots very early so as to prevent surgery or other scaring procedures. She has also suggested wonderful products to stop adult on-set acne, sunburns and dark spots. Three years ago, I moved to Chicago, but I refused to stop seeing her. Now, when something appears on my face, I take a picture of it and she emails me back that same day! She can often address my problem via email, but if that’s not possible, I happily come back to St Louis to see her for treatment. I realize a large city like Chicago has many competent dermatologists, but I don’t trust anyone but her to take care of me. As they say, “the proof is in the pudding” and in my case, the proof is in my face!!! I absolutely adore Dr. Maude Kandula! Besides being one of the kindest people I have ever met, there is NOTHING about skin and skincare that she doesn’t know. I have only tried out a couple of the different fillers, but was extremely pleased with the results. I use her skin fading cream on a regular basis and absolutely love it. The brown sun spots on my face have all but disappeared. She ROCKS!! I met Dr. Kandula several years ago when I brought my 16 year old daughter in to her office with a particularly stubborn case of acne. I was so pleased with her treatment plan and my daughter’s results that I became her patient too. Over the years she has treated me for adult acne and rosacea, she has removed several facial moles, and she has worked with me to find an anti-aging protocol that is affordable and that we are both comfortable with. I have had beautiful results from her treatment and am confident that as my needs change she will be able to help me. I have referred many people to Dr. Kandula and I will continue to do so. Dr. Kandula is by far, the best dermatologist I have ever had. 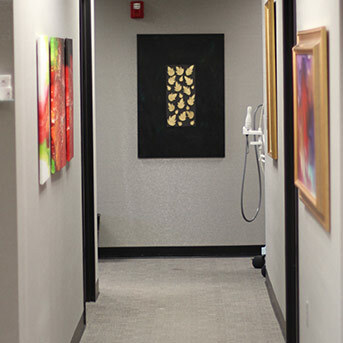 She is a professional that takes the time to listen and discuss individualized options and procedures. I am so pleased with how she has minimized wrinkles, improved my skin tone and my overall appearance. I’ve been her client for 6 years and plan to stay. We see all patients on an appointment basis, and ask that you call in advance so we may reserve time for you. The office phone number is (314) 692-0221. We try to see our patients on time, and request that you extend the same courtesy to us. If you cannot keep your appointment time, call us immediately. Please give us 24 hours notice so that this time may be given to another patient.